On May 24, Mr. Nguyen Hong Linh, Member of the Party Central Committee, Secretary of the Provincial Party Committee, Chairman of the Provincial People's Council presided over the meeting with the departments and the People's Committee of Xuyen Moc district to remove obstacles for the project. Binh Chau Lagoon. 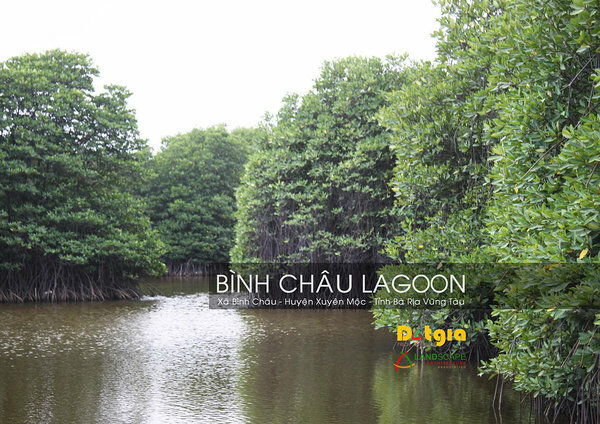 Binh Chau Lagoon KDL project is invested by Dat Gia House and Trading Company Limited (2Q, Dinh Bo Linh, Ward 15, Binh Thanh District, Ho Chi Minh City). The project covers an area of ​​27ha in Lang Hang Nature Reserve, Binh Chau Commune, Xuyen Moc District, with the objective of developing into the first professional brackish water ecological tourism project of Vietnam in the direction of conservation, embellishment and rehabilitation. Sustainable brackish-water ecological environment. Reported at the meeting, the representative of the investor said, the project includes two zones. Area A (10ha) has fulfilled the land tax obligation of 50 years, completed the technical infrastructure, green areas, rehabilitated mangroves, ponds and 20 villas are under construction. Area B has an area of ​​over 17ha. On 2-8-2017, the provincial People's Committee issued Decision No. 2078 / QD-UBND to the investor to change the form of annual land rent payment to one time for zone B. However, up to now investors The land rent has not been received yet. Besides, the planning route number 3 (765m long) connecting from the coastal road across the project to the sea has not been built, making it difficult for the investor to construct the zone B. At the meeting, Mr. 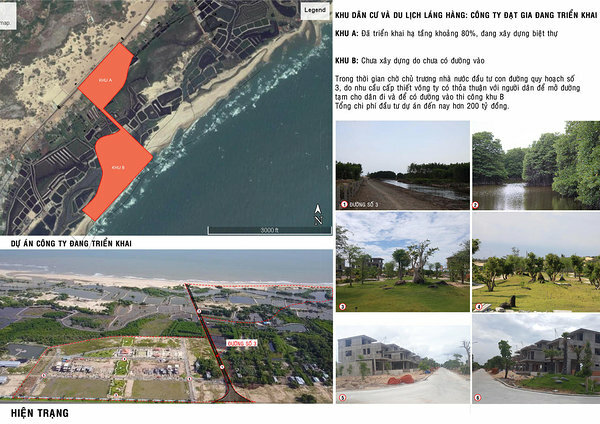 Le Ngoc Linh, Director of the Department of Natural Resources and Environment said that in 2016, the inspectorate of the Department of Natural Resources and Environment has audited the land use of the investor, zone B project has not yet implemented. The Department of Natural Resources and Environment requested the project owner to report progress and results of implementation but has not received this report yet. The Department also facilitates investors to switch from paying annual land rents to one-off payments. For zone B, after having cadastral information within 2 months, the Department of Natural Resources and Environment will calculate the land rent unit and submit it to PPC for approval and send to the investor. Regarding the planned route No 3, the representatives of the Department of Planning and Investment, the Department of Construction and the People's Committee of Xuyen Moc district agreed with the plan of land allocation for the investor to build this road to serve the project alone to save. budget. Concluding the meeting, Comrade Nguyen Hong Linh asked the Department of Natural Resources and Environment urgently advised the provincial People's Committee to complete the unit price of land area B to investors to fulfill tax obligations to increase the budget revenue. For planning road No. 3, the Department of Planning and Investment should study the proposal of the provincial People's Committee to allocate land for investors to build roads themselves.